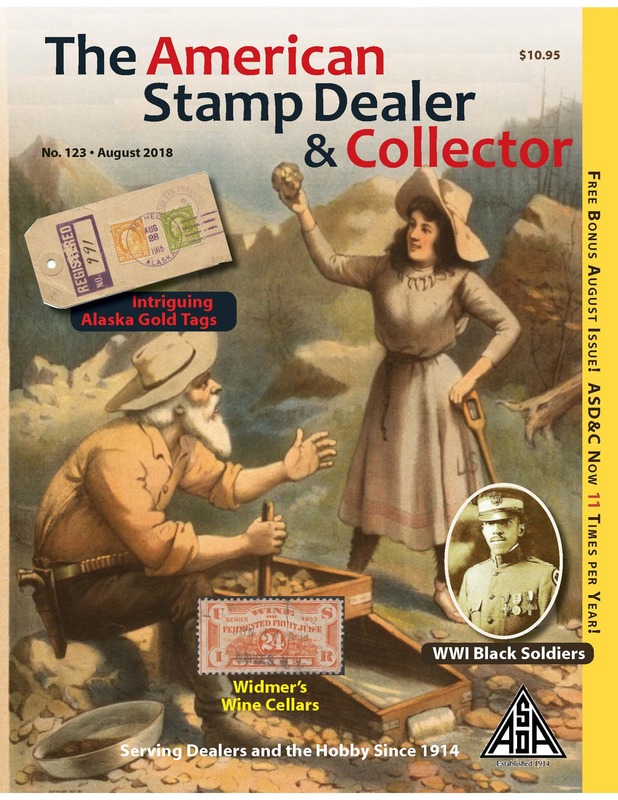 What a great idea, why not buy yourself a 1 or 2 year subscription to the American Stamp Dealer & Collector Magazine and get a FREE Online Subscription when you buy any of the Printed Subscriptions, you will need an email address and password to login to view the online version of the magazine. Since 2006, our readers, have seen us build and enhance The American Stamp Dealer & Collector. Our commitment remains the same: to continue to produce the finest stamp collecting magazine in America - bar none. In the equation that makes this happen is YOU. Many of you have written to us to say that we’re the best stamp magazine in America - and we get letters every week from readers telling us they read ASD&C from cover to cover. EVERYTHING WE DO IS DONE WITH YOU IN MIND. Every word and picture we put into ASD&C - on every single page - is crafted with your interests in mind. The story of philately is the story of people like you and me -how we collect, what we collect, what we do and the fun we have doing it. As you know, we cover it all. And we don’t fluff things up with redundant and boring things that can always be found elsewhere.